It is estimated that Americans now spend more than $17 Million annually on nutritional supplements. More and more companies are moving into this market vying for some of those dollars. With so many options available, it’s imperative to choose a reputable manufacturer to support your health goals. Solid, reputable nutritional supplement manufacturers formulate supplements based on scientific research, buy the best raw materials and pay independent labs to make sure their products meet label claims and contain no contaminants. It is perfectly reasonable to contact a supplement manufacturer and ask for verification of quality. Good companies have product specs, research supporting their formulas and laboratory assays stating that their ingredients are free of contaminants and “true-to-dosage” claims made on the labels. Some of this information is available on company websites. Retailers of quality supplements will have some of this information readily available or be willing to assist you in discovering the information. It’s incredibly important to accept that in regards to nutritional supplements, price does have bearing on the quality of the product: specifically its purity, efficacy, absorbability, and the rigor of a clean manufacturing process. Before purchasing inexpensive or web-order brands, be sure to carefully study labels and investigate the company. Manufacturers of discount products must save money and may do it by using inadequate dosages, improper nutrient forms or other cost-cutting measures. A simple web search will provide results of various researchers who have tested nutritional supplement products to discover that the amount of the active ingredients stated on the label deviated significantly from what was in the products. Be sure the supplements you purchase match their labels! Information like this is available from organizations that evaluate consumer products. Consumerlab.com specializes in evaluating nutritional supplement products. The website offers reviews of a wide variety of nutritional categories, makes general recommendations, and tests products for quality and potency. A “seal of approval” for a product typically indicates that the manufacturer has passed specific evaluation requirements. While many of these organizations are reputable, some offer an approval seal for a fee. In reality, most agencies offering an approval seal will require manufacturers to pay licensing fees each year to use their seal on products and in advertising. While the products may meet the requirements, smaller and less established companies may not be able to afford the licensing fees even though their products meet the requirements to have the seal of approval. Seals of approval from Consumerlab.com, the Natural Products Association (NPA), the United States Pharmacopeia (USP), and others are indicative that the products are the best supplements to take. Some nutrients maintain their potency for several years and others have a significantly shorter shelf life. Because the FDA does not require expiration dates on supplement bottles, many manufacturing companies don’t provide them. If a product does not contain an expiration date, look for a manufacturing date. When possible, purchase supplements that have been manufactured within that last year and never purchase a supplement that has met its expiration date (or will expire before you can completely use it). Look for red flags on labels—sugar, artificial coloring and flavoring, preservatives, and additives such as shellac, chlorine and other chemicals should be avoided. 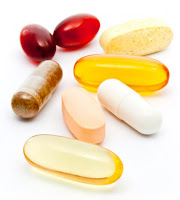 Do your own research and seek help when shopping for the best supplements to take. Ask questions of integrative physicians, functional medicine specialists, holistic nutritionists, non-conventional pharmacists, chiropractors, massage/body workers or even health-food store employees. Quality nutritional supplements can make an incredible difference in you and your family achieving optimal health and wellness. Make sure the money you spend on supplements is providing the purity you want and offering the benefits you expect. You deserve it!